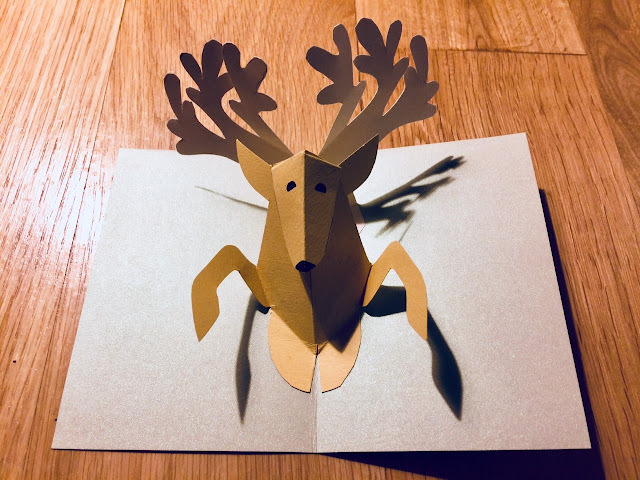 This week I started making Christmas Cards. It wasn't in my planning to make cards myself, but when I was in my nearby craft store yesterday, I saw beautiful pastel colored paper. That's how it usually goes: I decide to make it an easy Christmas with little home made things, until I see craft supplies that I really like, most of the time because it has nice colors. So there I was, spending another afternoon at the craft table, but I love the result! 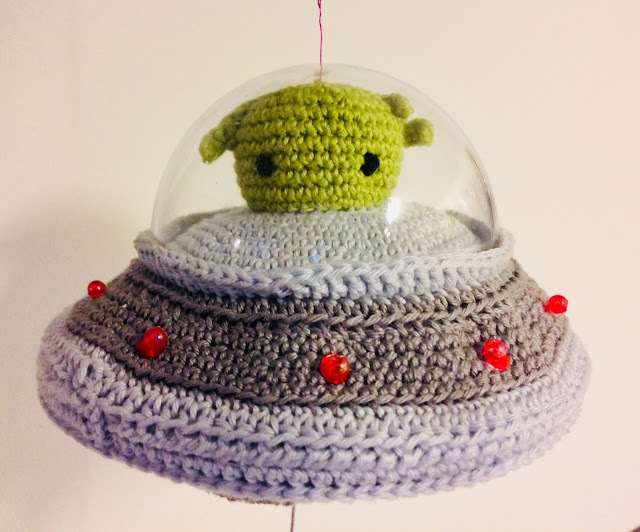 My Flying Saucer Rider was featured by Creative Jewish Mom, Two Chicks and a Mom and Sew Can Do! Thank you, Sara and Donna, Staci & Ali Rose and Cheryl! This week it's Thanksgiving, something that isn't really celebrated in The Netherlands. But I take every opportunity to cook for people, so I decided to celebrate Friendsgiving. Not with the traditional turkey, because I'm a vegetarian, but with lots of other delicious dishes. 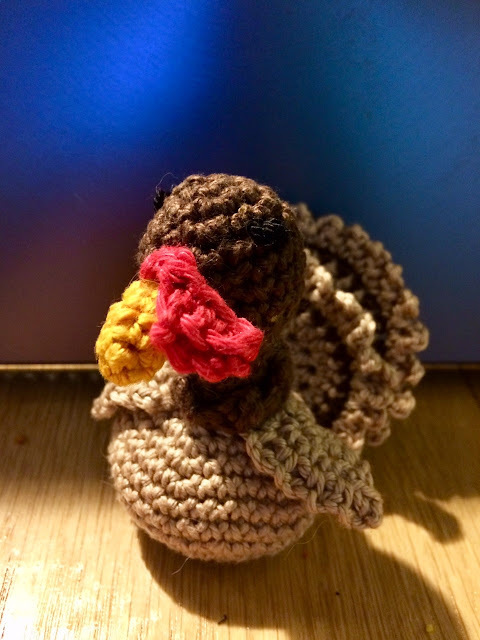 This weekend I started to make some decorations, like this little turkey. I found this little pattern here. 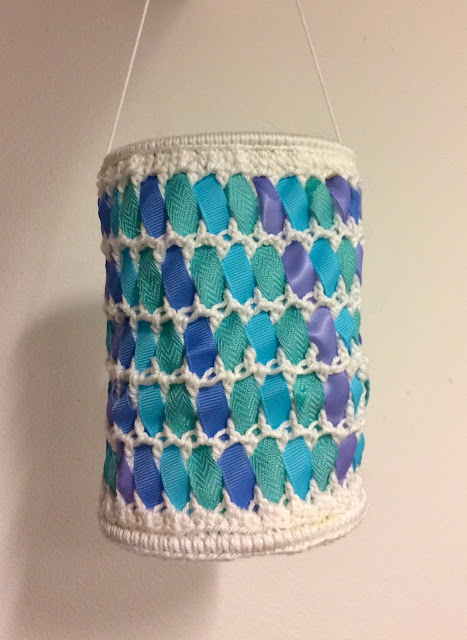 The Lampion that I made for St Maarten last week was feastured by Scrapality and Creative Jewish Mom! Thank you, Andrea and Sara! The Chances of Anything Coming From Mars... My brother, sister and I loved it when my dad played that record from War of The Worlds with all its scary sounds when we were kids. Especially the sound of a manhole cover that shoves over the tarmac, that we kids thought for years was a sound that one of the tripods made. This weekend it's Sint Maarten. I live in The Netherlands and this children's fest isn't celebrated in the whole country, but only in some regions. Sint Maarten was the son of a rich man who shared half of his coat with a poor, coat- and shoeless man and therefore was named a saint. The celebration that came out of this anecdote, are groups of children that trek along the houses in the neighborhood after dark with lights and lampions. They hope people want to share sweets and candies by singing Sintremaarten songs (short songs, of course, because they want to get as much sweets as possible, so the longer the song, the shorter the time left to go to other houses; for people who don't want to share sweets and candies are special songs, in which people are named greedy). It's a bit like Halloween, but with songs and without the scary things. If you've read my last post, about the Star Music Box, you know that I had a little party last week to celebrate the birth of my friend's baby boy. 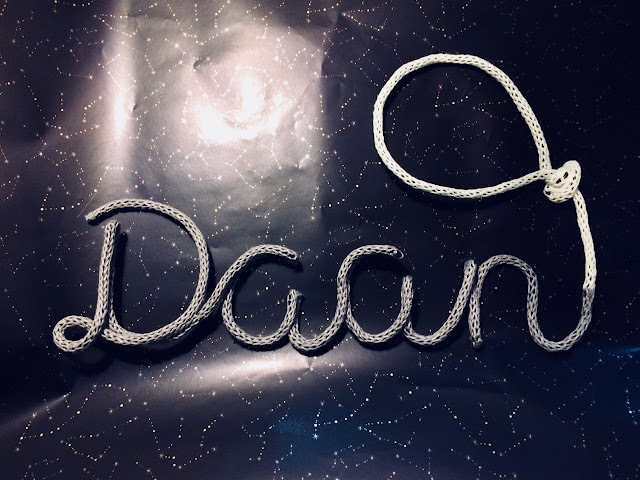 The music box wasn't the only thing I made for her, I also made her baby's name in spool knitting. My Fall Wreath was featured by Scrapality! My Hexagon Cushions were featured by Creative Jewish Mom!